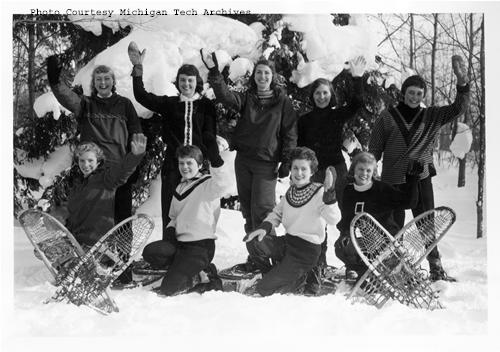 In his upcoming talk, visiting scholar David Brown will discuss campus traditions and their meaning, such as Michigan Tech’s Winter Carnival. The photograph features Winter Carnival Queen Candidates from 1959. Please join us for visiting scholar David Brown at 4:00 pm on Monday, November 16 in the East Reading Room of the Van Pelt and Opie Library on the Michigan Technological University campus. This event is free of charge and open to the public. Refreshments will be served. In this presentation, Brown will discuss his dissertation research which focuses on historical accounts of student life and the ways in which those accounts can inform scholarship and teaching in the modern era. 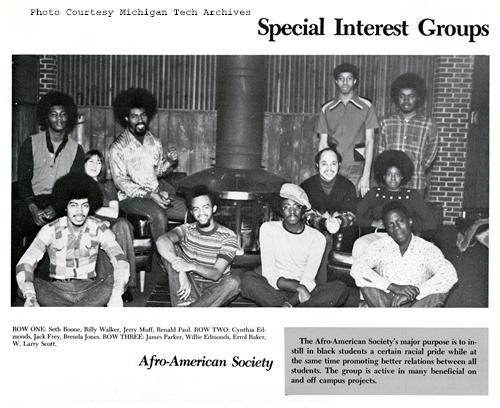 He is especially interested in collective experiences and instances where student life has taken on distinctive character and expression, such as in the case of Michigan Tech’s Winter Carnival. In addition to meaning, methodology will also be an important component of the talk. 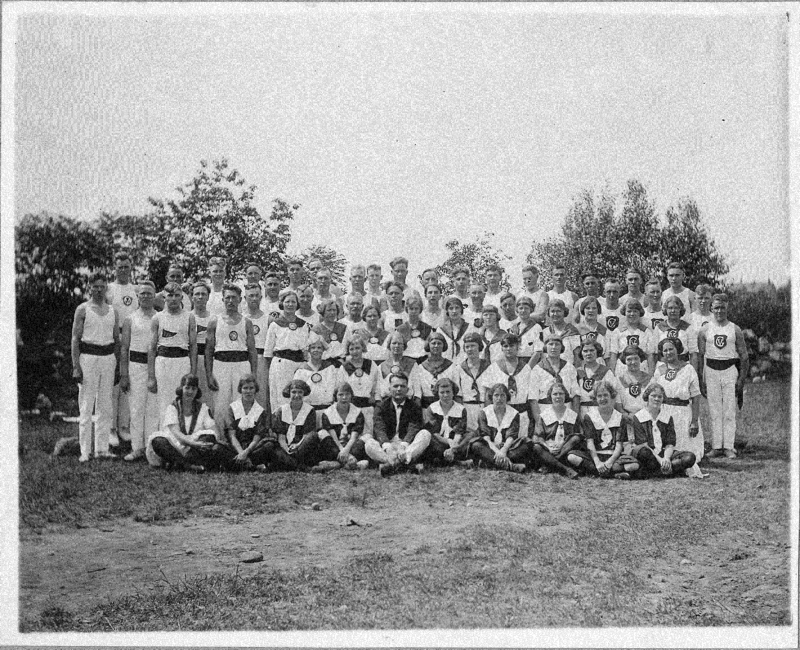 Brown will show how archival research is a valuable tool for studying college student life and provide an example of an exercise that challenges students to consider campus history and their place in it. David Brown is a doctoral candidate in the Department of Educational Policy Studies and Evaluation at the University of Kentucky. Under the guidance of noted historian of higher education Dr. John Thelin, Brown’s research focuses on historical and contemporary accounts of college student life and students’ meaning-making activities during their college years. In addition to his research, he also teaches at the University of Kentucky; last year he was a recipient of one of UK’s Outstanding Teaching Awards. 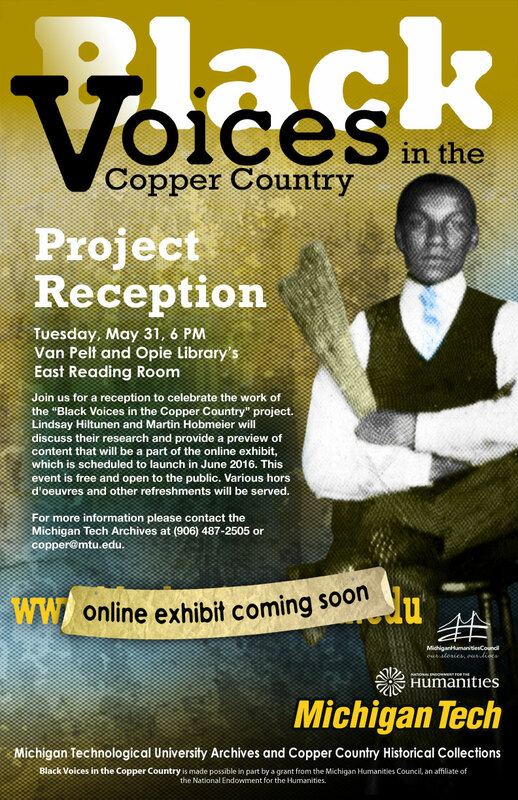 Brown’s research visit and presentation are supported by a travel grant from the Friends of the Van Pelt Library. 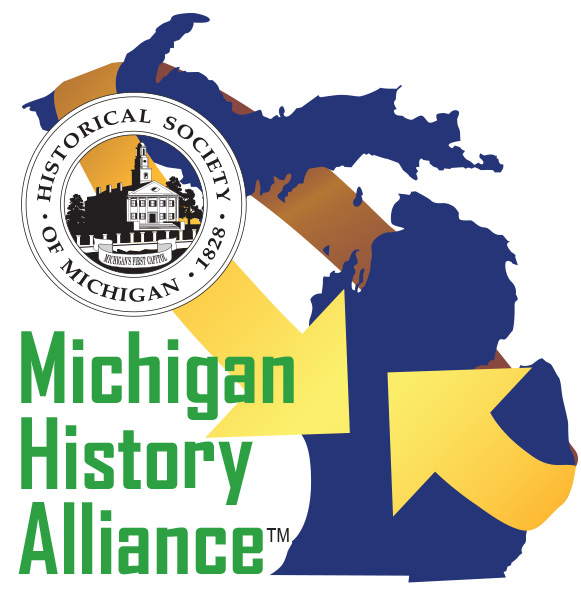 Since 1988, the Michigan Technological University Archives Travel Grant program has helped scholars advance their research by supporting travel to the manuscript collections at the Archives. 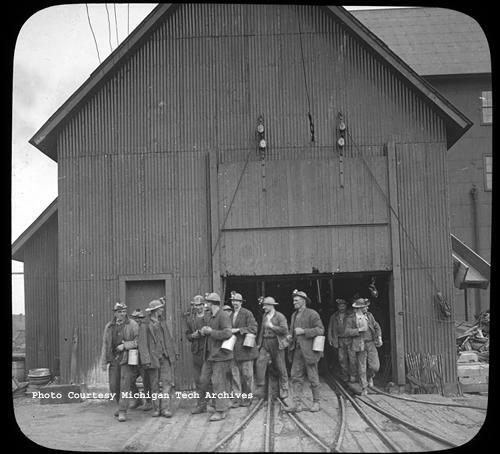 For more information, feel free to call the Michigan Tech Archives at 906-487-2505, email at copper@mtu.edu, or visit on the web athttp://www.lib.mtu.edu/mtuarchives/. 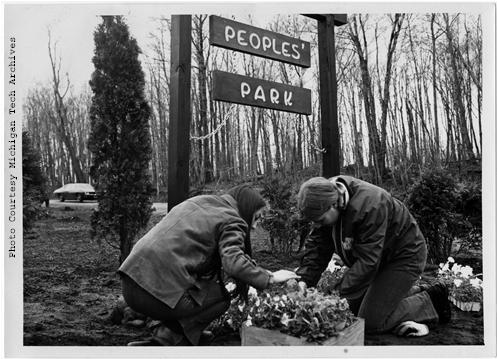 This image shows two students planting flowers at Michigan Tech’s People’s Park. Built by MTU students, the park was the result of a four-day strike which occured in connection with the Cambodian Invasion and subsequent slayings of students at Kent State and Jackson State. The park was built as a peaceful expression of Tech students’ outrage over the above mentioned incidents. 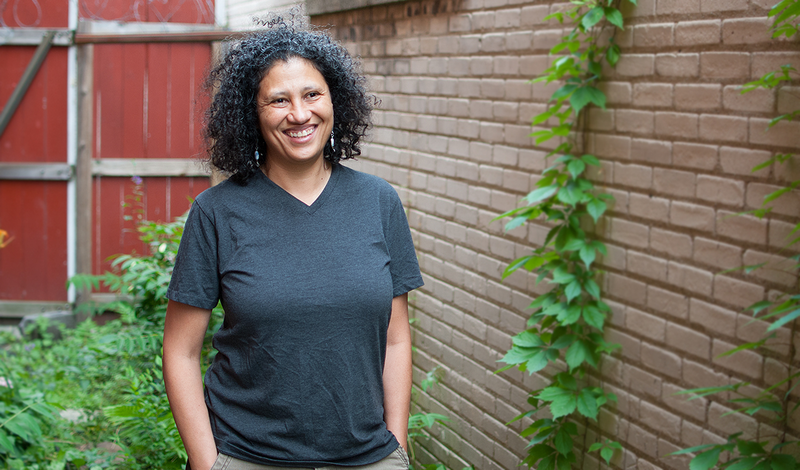 Please join us for visiting scholar Kera Lovell at 4:00 pm on Thursday, August 13 in the East Reading Room of the Van Pelt and Opie Library on the Michigan Technological University campus. This event is free of charge and open to the public. Refreshments will be served. 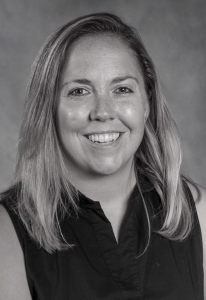 In this presentation, Lovell will present a portion of her dissertation which examines the devices and material construction of activism after World War II. In particular, Ms. Lovell will trace the history of the “People’s Park” movement. These coalitions of activists and students spread across the United States from Berkeley, California to Houghton, Michigan, and in places abroad, including South Africa. These spaces protested environmental and socioeconomic injustices. Ultimately, the protests took form through the creation of public parks in vacant lots, signifying a permanent occupancy that was visible to the public. This talk will examine the visual and rhetorical strategies these activists used to equate their peaceful occupancies with territorial reclamation, and frame their creations as public memorials to colonized peoples. 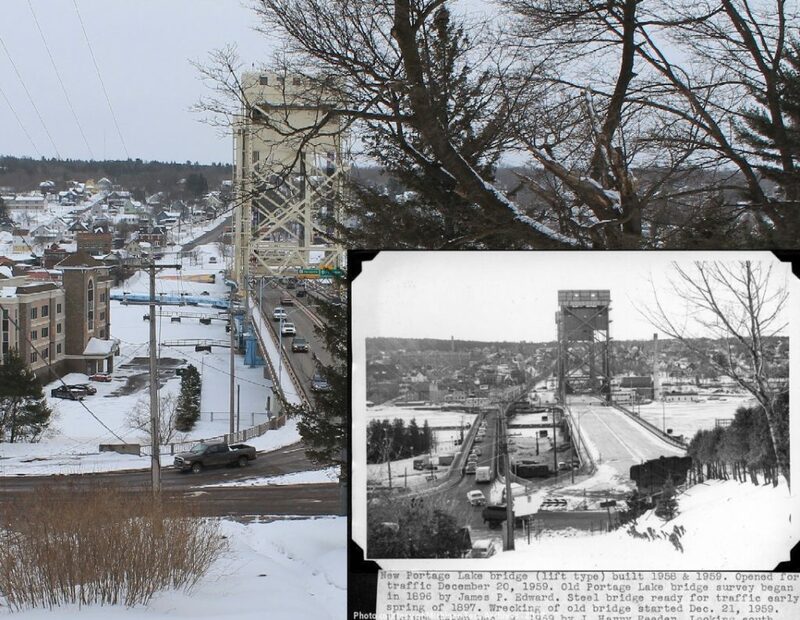 By examining some essential case studies of People’s Parks and situating Michigan Tech’s own People’s Park within this global movement, the talk will shed light on how activists saw space not as property, but as a symbolic representation of power. Lovell’s research visit and presentation are supported by a travel grant from the Friends of the Van Pelt Library. Since 1988, the Michigan Technological University Archives Travel Grant program has helped scholars advance their research by supporting travel to the manuscript collections at the Archives.